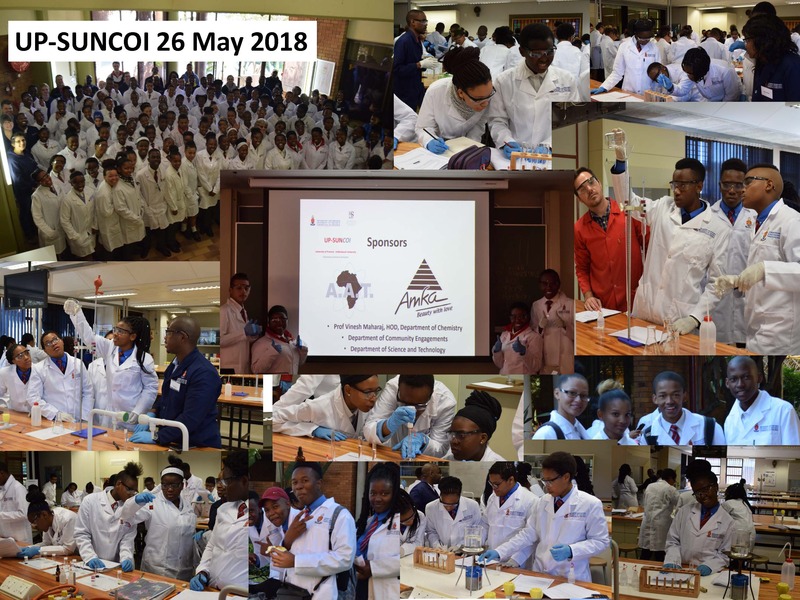 The UP-SUNCOI (University of Pretoria-Stellenbosch University Community Outreach Initiative) project was launched on 26 May 2018. 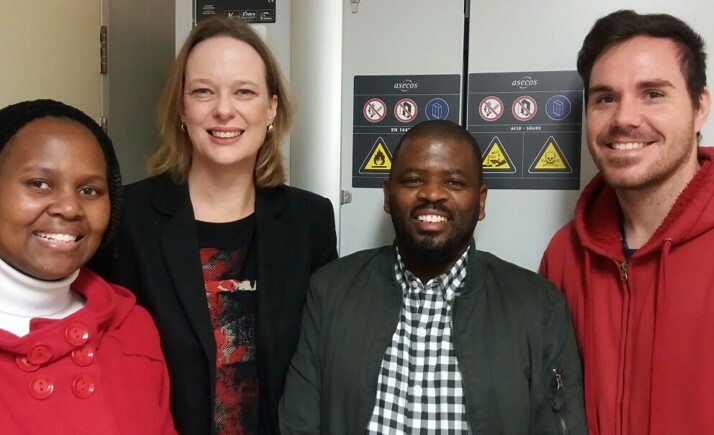 This project is a joint initiative between the University of Pretoria and Stellenbosch University, who has been successfully presenting it for the past six years. The UP-SUNCOI organizing committee consists of staff members from both the Department of Chemistry and the Department of Science, Mathematics and Technology Education. The main objective of this project is to assist Grade 10, 11 and 12 school pupils from disadvantaged back grounds and from schools where the necessary facilities do not exist to do practical work in Physical Science, in order to complete the compulsory practical component of this subject. This project was piloted this year with the intent of becoming a compulsory component of the Chemistry Honours programme in future. On 26 May 2018, 79 Gr. 11 and 18 Gr. 12 school pupils from the Prosperitus Secondary School in Eersterust attended this event held in the laboratories on the Groenkloof Campus.